If you are looking for an alternative to kennels but found it hard to find pet boarding, then look no further. We love providing holidays for dogs and have a great team of pet sitters who love providing holiday care for dogs in their home. Please get in touch if you would like to know more about our dog sitting services, pet sitting rates or our holiday dog sitters who range from stay at home mums to a retired veterinary nurse. For all our dog sitting prices, please visit barkingmad.uk.com or contact Paul on 01732 794463. 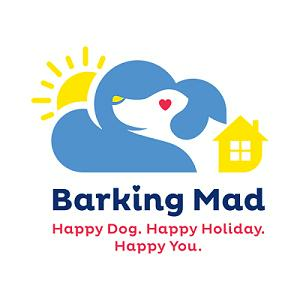 Barking Mad – the alternative to dog kennels.